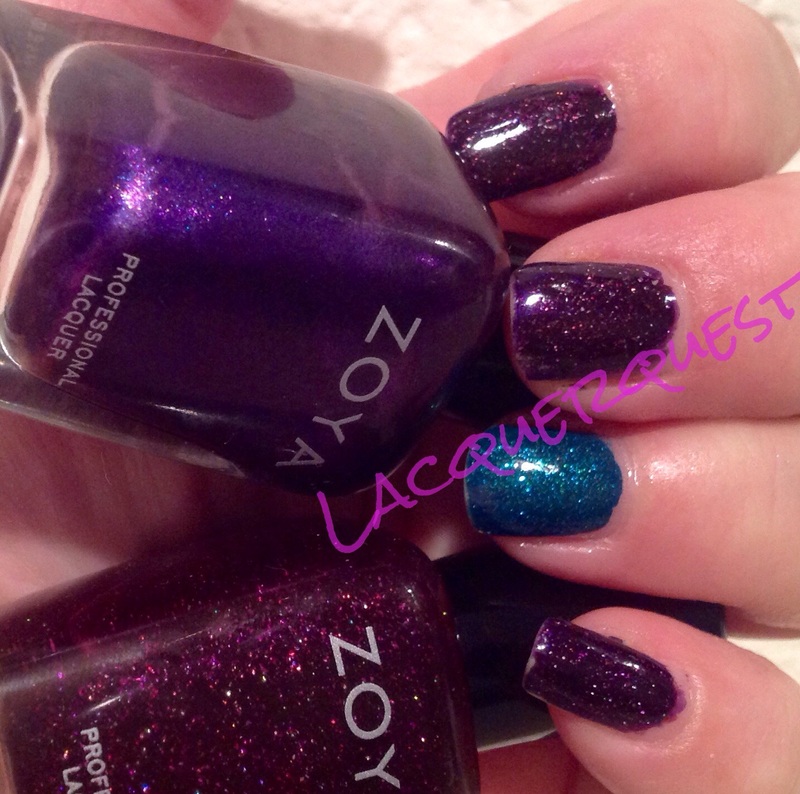 Blu was part of Zoya’s Spring 2013 collection called Lovely. They really go for the pastels in their spring lines and that year was no exception. As I remember, they had three cremes and three shimmers. Not surprisingly, I preferred the cremes! I think I got two of them and I really liked the third, Neely, but I already had at least three likely dupes, so I abstained. I don’t know how many times I picked that up at Ulta and then remembered, “oh, yeah, I like this so much I already have half a dozen similar polishes”…ha! I also have one of the shimmers (Piaf), but just because I got it on clearance and it was a vastly under-represented color in my collection. So, Blu…. Surprisingly, it’s blue! A gorgeous, light baby blue, even an exceptionally pale sky blue. After the disappointment that was Avery, I felt it necessary to follow up with this one just to restore Zoya’s good reputation for killer cremes! I think this picture is showing a bit lighter than it is in real life. 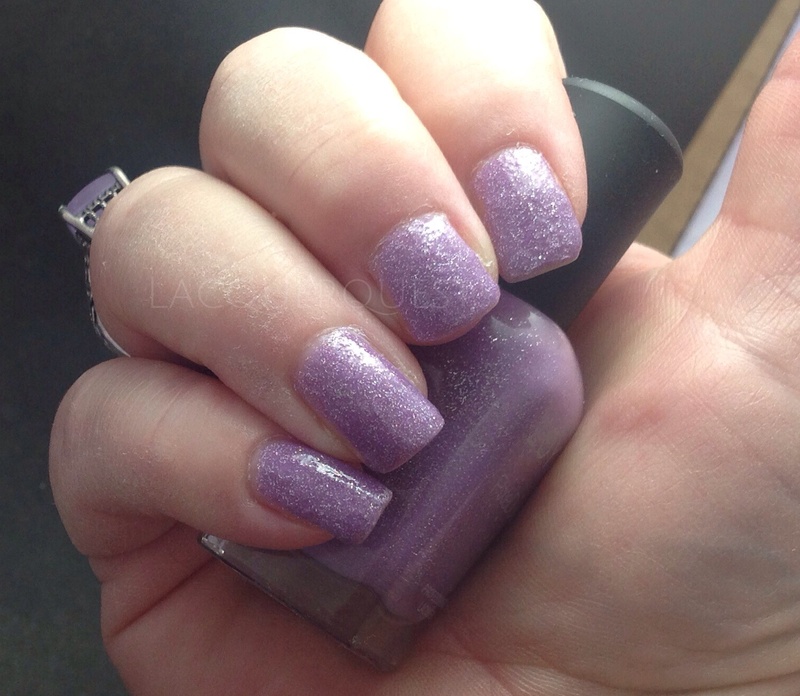 Now that my nails are starting to get back in form, looking at these older pictures is cringe-inducing! But be stout of heart and hang in there because, as we’re so often told, it really does get better. 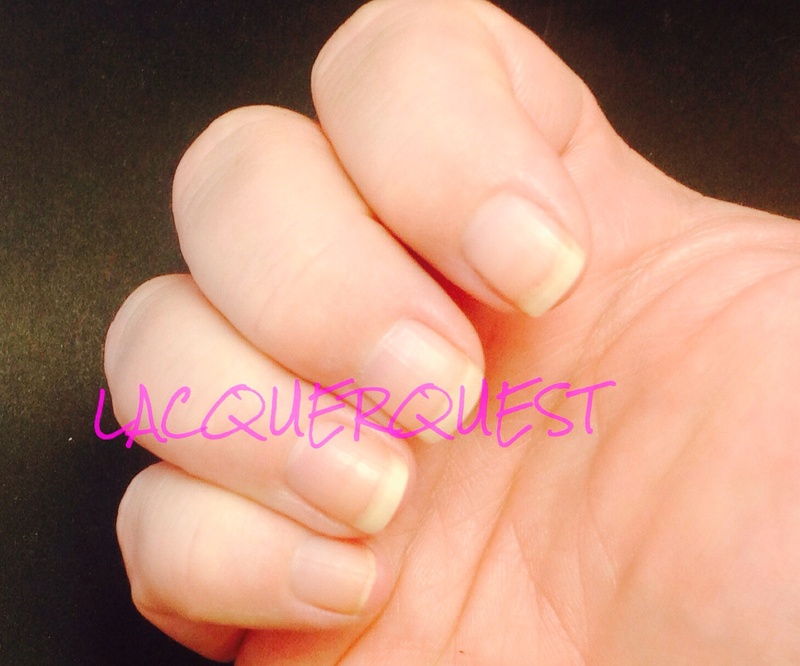 I also have a new cuticle regimen so those ragged polish lines have improved as well. But, back to Blu. For a light colored creme, this is an exceptional polish! This is three coats, but I really do think I could have gotten by with two. Just a few streaks on the first coat and, rather than it being too thin or chalky, it was on the thicker side. Not enough to be goopy, but enough to have really good control and fantastic leveling. 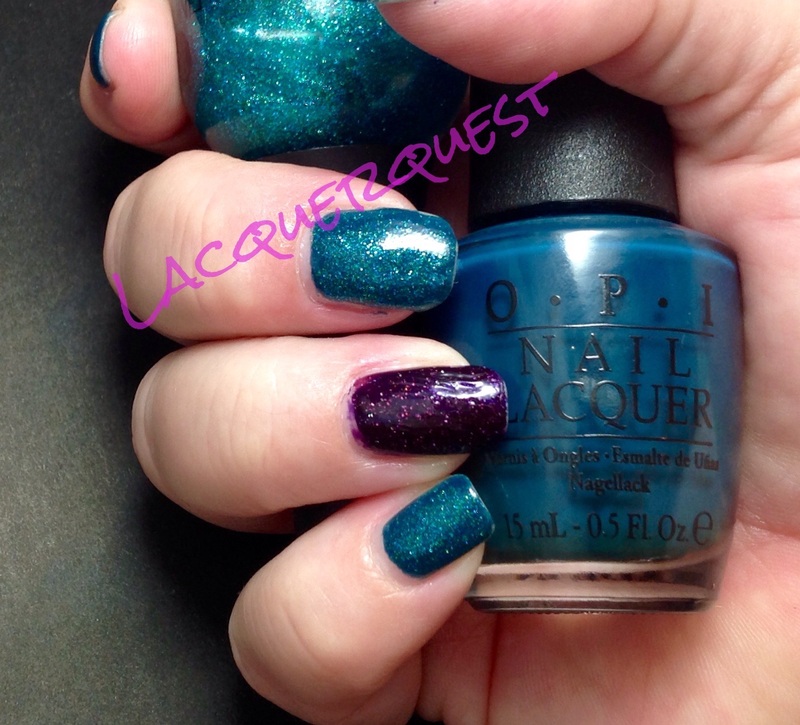 I liked it so much that I wore it for probably a week (which is unusual for me) and I freshened it up for a few days with a coat of OPI’s Last Friday Night from their Katy Perry Holiday Collection way back in 2010. Yeah, it was a little bit beyond being capable of freshening…. This is kind of a blue and pink-iridescent glitter in what I thought was a clear base. But it does look like it darkened up the Blu a little bit (also this picture is truer than the previous one), so I think it might be a lightly tinted blue base. I’ll have to delve into this more deeply when Last Friday Night gets its own review, but when I’ve used it by itself I haven’t seen any color change on the nail besides the glitter. As you can see it’s more suitable as an overcoat, although I don’t recall it being marketed as such. So my nails had gotten to the point where they were just hanging on by a wing and a prayer. Remember the just hang in there posters with the kitten on a clothesline? That was my nails. Except more like this. WARNING: The following material may disturb more sensitive viewers. Viewer discretion is advised. Yes, that’s right. 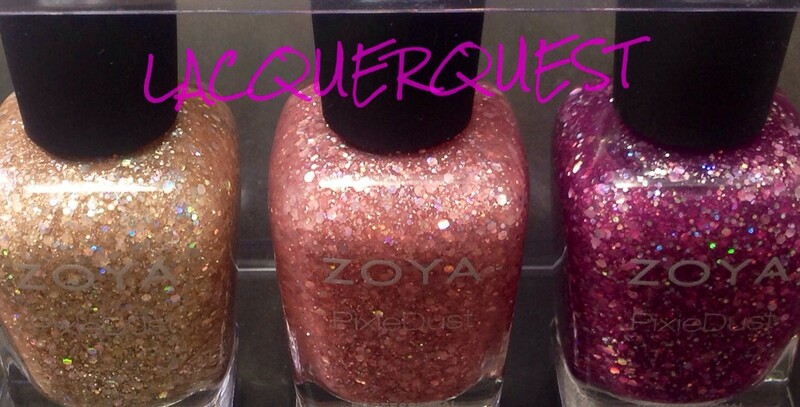 The new Zoya Magical Pixie Dust Collection for Summer! Want a closer look at these beauties? Of course you do! Ordering to delivery time? Slightly less than a week. And yet somehow within that time frame I managed to completely forget that I ordered them and hacked off all the nails. I couldn’t wait two days so that I could at least just swatch them on my remaining good nails? Apparently not. I blame a fit of momentary madness. Like when you reach that point where you just can’t take it anymore and your hair must be cut NOW! So you hack it off with some scissors/a butcher knife/whatever’s on hand with the thought of ‘whatever, it’ll grow back’. So whatever, they’ll grow back. But I want to see what my new polish looks like NOW! And on my actual nails, not on my swatch sticks. NOW! Remember that Bette Midler song “From a Distance”? I remember reading (in a book about pianos) that Julie Gold wrote that song one night when her piano had just been delivered and all she could do was look at it. I can’t remember whether it was a new piano or a new place and her piano had just arrived. Either way, when a piano has been moved you have to wait until it settles and adjusts to the temperature and humidity of its new environment before you can play it. So she spent the night just looking across the room at her piano and not being able to touch it. So that’s me and my Magical Pixie Dusts right now. Did I happen to mention that the new OPI Coca-Cola Collection is currently winging its way towards me as well? Whatever, delayed gratification builds character. Or, as that noted philosopher Kanye Clarkson Nietzsche once observed, that which doesn’t kill me can only serve to make me stronger. Yeah!